Learn how to create your first webpage using simple tex editors like Notepad (Windows) or TextEdit (Mac). 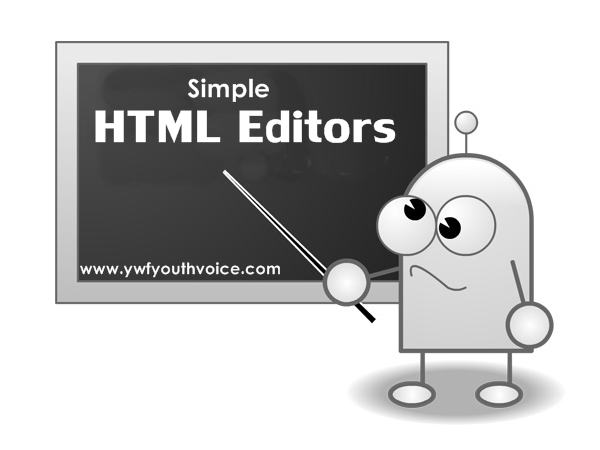 These days easy to use professional HTML Editors are available. However, for learning purpose we recommend you to use a simple text editor like Notepad (Windows) or TextEdit (Mac). Open Notepad (if you are using Windows) or Open TextEdit (if you are using Mac). Save your file: Select File > Save as in the Notepad menu. Name the file "firstpage.html" or any other name ending with html or htm. UTF-8 is the preferred encoding for HTML files. ANSI encoding covers US and Western European characters only. Note: You can use either .htm or .html as file extension. There is no difference, it is up to you.